Sky and Sony Computer Entertainment Europe (SCEE) have announced today that they are joining forces to deliver on-demand entertainment content to owners of the Sony PlayStation Portable (PSP) in the UK and Ireland. They've formed a joint venture company that will focus exclusively on delivering video content to the PSP. 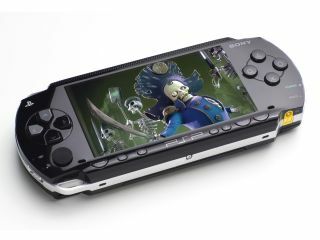 Initially it will provide a wealth of video and film content to the more than 2.3 million PSP owners in the UK and Ireland, and the two companies are already in discussions with entertainment content providers across Europe to facilitate future introduction of the service to European PSP owners. The company says it will establish PSP and the new ground breaking video download service as the natural partners for those seeking the ultimate choice of portable entertainment content. More information on the service will be announced by SCEE at the Games Convention expo in Leipzig, Germany on Wednesday 22nd August.